KLOESEL Engineering, P.A. provides structural consulting services to architects, municipalities, institutions, and other clients. Founded by Woody Kloesel, P.E. in 1995, the firm is committed to the highest quality design and service standards. Over 90% of the work is with repeat clients, many of whom have had a working relationship with Woody Kloesel for over twenty years. 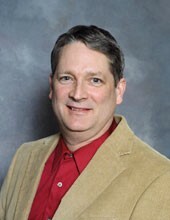 Prior to establishing his own practice, Woody worked with Haynes-Whaley Associates in Houston, Texas for six years and with Sutton-Kennerly & Associates in Asheville, North Carolina for eight years. Structural consulting service for architectural clients is the majority of the firm’s work. Staff engineers have designed numerous educational facilities, residence halls, churches, museums, community centers, swimming pool facilities, theaters, commercial office buildings, warehouses, condominiums, hospitals, retail centers, and mixed-use commercial/residential buildings. The firm’s excellent reputation stems from our thoughtful design that fulfills the architectural requirements in a cost efficient manner. Kloesel Engineering’s collaborative work and creative solutions to difficult design conditions have built a loyal group of repeat clients. 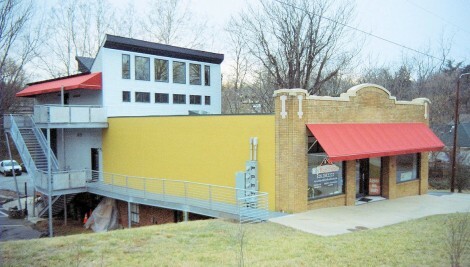 Kloesel Engineering has designed the structure in many of the adaptive reuse projects necessary for the renaissance of downtown Asheville. Working with our architectural clients and the building contractors, we have derived great satisfaction from participating in renovating these fine old buildings for a new life cycle. The majority of the buildings are 80 to 100 years old, with structural systems of masonry, timber, concrete, and steel. Renovation work requires a high degree of creativity due to the numerous, inevitable unknowns. With our knowledge of structural systems, both current and historical, we anticipate how to most effectively design the renovation procedures. It gives us great pleasure to now be a part of the vibrant downtown life and enjoy the fruits of our labors. Although the firm’s primary project type is building construction with an architectural emphasis, we have expertise in other key areas as well. Collaborating with artists on public and private projects continues to enliven our practice. We have also designed short-span bridges and kinetic park structures. Members of the staff have designed the structural components of various sanitary engineering facilities for over fifteen municipalities, as well as for dozens of private clients. The firm has developed a reputation for designing durable, long-lasting structures while maintaining a competitive cost for construction. View our projects or contact us to learn more. The firm is licensed to provide engineering services in North Carolina, Tennessee, and Texas. Woody is a Texas native and grew up on a farm in the rural town of Weimar. After graduating from high school, he headed to the big city of Houston where he worked and attended the University of Houston for three semesters. After running out of money, he joined the Air Force where he had some interesting adventures for 4½ years in Cheyenne, Wyoming and Adana, Turkey. His time in Turkey allowed him to travel through most all of the western European countries and parts of the Middle East. Now with eyes wide open, he completed his Bachelor’s degree at the University of Texas – El Paso and Master’s at Texas A&M University. After school, the big city beckoned again, he learned many skills at the Houston structural engineering consultant firm of Haynes Whaley Associates in six years, designing various commercial and institutional buildings up to twenty-one stories. During this time, he and his former wife had two lovely daughters, Landry and Delaney. But then it was time to get out of the big city and to a better quality of life, and he fortuitously found Asheville. The learning process continued for eight years with Sutton-Kennerly and Associates until he ultimately made the jump to Kloesel Engineering in 1995. 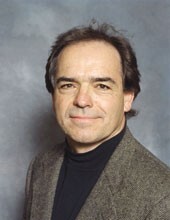 Asheville has provided him with a wonderful balance of professional development and personal enjoyment. He loves the Asheville vibe of the invigorating outdoors, delicious food and drink, wonderful music, and inspiring art. He shares all this and his love of travel with his life-partner Laurie Miller. The best is yet to come. Chris found his way to Asheville in 2005, inspired by the natural beauty and mountain biking opportunities. It has been a match made in heaven for Chris and for Kloesel Engineering. After earning his Bachelor of Science and Master of Science degrees from the University of Illinois at Urbana-Champaign in 2001, Chris worked for a structural firm in Chicago. The work was a good learning experience but didn’t offer the variety of work and personal relationships he enjoys now. At Kloesel Engineering he enjoys a nice variety of work in steel, wood, concrete, and masonry as well as nice friendships with architectural colleagues. In 2009, through friends, Chris met his wonderful wife Roslyn Clapp, a third grade teacher. Now, Chris is a truly proud father. Their daughter Rigney was born in the fall of 2013. Roslyn and Chris enjoy cycling together and can’t wait till Rigney can get her own helmet. Greg is fortunate to have grown up in West Asheville surrounded by a loving, extended family—comprising the entire neighborhood. He grew up being outdoors and still enjoys that today. Greg and his wife Melissa met through friends and found their heart connection at a wedding rehearsal dinner. They married two years later and have a teenage son, Matthew. A close family, they enjoy hiking and camping together. Greg enjoys fly-fishing and misses his days of mountain biking and climbing. Greg is a deacon at his church where Melissa is a volunteer counselor. Greg began drafting in high school and never looked back. He loves building things and had life-long teachers in his father and grandfather. He worked in construction for many years and helped build numerous beautiful homes in the area, most in Biltmore Forest. In the 1980’s, Greg began drafting classes at A-B Tech and received his Associate degree in Applied Science. He finally traded in his hammer for a computer and began work at Kloesel Engineering in 2003. He is now a Project Designer and brings excellent computer skills, life wisdom, and a great sense of humor to the firm. Paula keeps Kloesel Engineering running smoothly with her keen office management skills. She learned the art of keeping a good engine running on the tarmac as an engineer for GE Aircraft Engines, where she worked for six years. After graduating from Virginia Tech in 1983, she joined GEAE’s engineering development program, where she predicted and tested the stall margins of large commercial jet engines. When you fly in a 737 or A320 (French Airbus), you can thank Paula for their safety and smooth flight. After becoming a Professional Engineer in Ohio, Paula married her college sweetheart, Russell Lindsay, who was also an engineer. 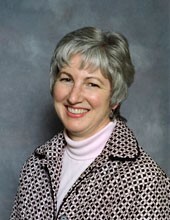 They moved to Asheville in 1994, and Paula managed Russell’s firm until 2006. Their two sons, Aaron and Christopher, are both young men now. 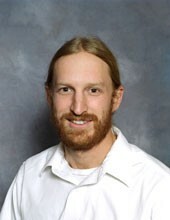 Aaron earned his Master’s degree from Virginia Tech and is a computer scientist. Christopher is in his second year of medical school in Chapel Hill. Paula looks forward to their frequent visits and traveling with them. Paula enjoys the outdoors—hiking and gardening. Flowers bloom their hearts out for her. She’s a foodie, sharing good meals with friends and family, and still manages to find time to quilt. In addition to keeping Kloesel Engineering sailing smoothly, Paula works part time for ABCCM in their drug inventory department. She is a wonderful asset to the firm.